Nehemiah is probably best known for rebuilding the walls of Jerusalem in 52 days, but beyond that, what do you know about this important Bible character? Though I have heard the story and read the book many times, it wasn’t until I did a previous chapter-by-chapter look at the book of Nehemiah that I really started to understand the character and the book about him. Nehemiah was born during the time of the Babylonian Exile. Babylon had invaded Judah and taken Jews captive. Most notably were four young men named Daniel, Shadrach, Meshach and Abed-nego. But it was many years—and battles—later before Nehemiah came on the scene. Daniel lived through the Babylonian reign and into the reign of the Persians. He was thrown into the lion’s den during the reign of Darius, king of Persia. During Daniel’s time, Jerusalem was invaded and destroyed. This sets the stage for the events of Nehemiah. Nehemiah worked for the Persian king name Artaxerxes. Nehemiah’s job was as the king’s cupbearer. This meant that he would test the food and drink for poison before it was served to the king. Nehemiah was essentially a bodyguard that spent much time with the king. Nehemiah and the king had such a personal relationship that the king knew when Nehemiah’s heart was troubled for the city of Jerusalem and for the safety of his people—the nation of Israel. There are several key verses that help us understand Nehemiah’s character Let’s take a look at a few and learn from this great historical figure. Though Nehemiah was a Jew, he did not grow up in Israel. However, he stayed up to date with the news of what was going on in Israel. He also was deeply devoted to God and His will. 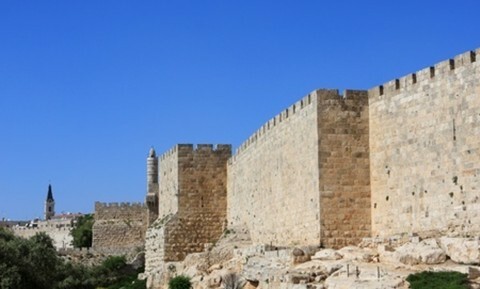 The following verses show Nehemiah bringing his request to rebuild the walls of Jerusalem first to God, then to the king who could help him accomplish God’s will. He did not go to the king first, nor did he even directly take his petition to the king. The king noticed that Nehemiah was greatly moved about something and inquired of Nehemiah what the need was. Nehemiah saw the need and then went to God with an understanding heart. He knew that God said because of sin Israel would be scattered. Nehemiah was not at all angry at God because of that. He recognized the necessary punishment of God on the people. But he also knew that it was time to rebuild the city. With boldness he requested help of the Persian king. The king trusted Nehemiah enough to allow him to leave with military might and letters of recommendation. Nehemiah did not share with everyone all that was in his heart. Even though he was granted passage, materials, and military help from the king, he still did not divulge his whole plan as he probably did not know the extent of the need. During the night he wisely took stock of all that was needed in Jerusalem. Because he already knew there were enemies around, he got a complete understanding of the need before he laid out the plan with those around him. Nehemiah showed wisdom in proceeding with the most information available. And, he did not allow lack of information to keep him from what he could do at the time. Nehemiah organized the people in chapter 3 to build the part of the wall that was closest to the place where they lived. Instead of micromanaging the people in every aspect of the building, he allowed the various family leaders to build their section of the wall. When the wall was half complete the enemy began to make moves upon Jerusalem. Nehemiah again organized the people to work and be prepared to fight. While they worked they held their tools in one hand and their swords in the other. Those within the city who were not actively working on the walls were ready to fight at a moment’s notice. They didn’t even take time to change their clothes except when it was necessary to bathe and launder their garments. The self-appointed leaders who had kept Jerusalem together were taxing the people mercilessly. Nehemiah put a stop to that. He became the governor of Jerusalem for 12 years but never taxed the people to live in the city. He did not say it was wrong to do so, but that at the time of rebuilding and reconstruction everyone should be involved in helping with the need instead of taking advantage of those who were under their rule. The enemy requested an audience with Nehemiah but he did not allow them to distract him from the work. Nehemiah knew the importance of the work. He also understood the purposes of the enemy. They did what they could to distract Nehemiah by sending messenger after messenger to the leader in Jerusalem. But he refused to be lured into the distractions posed by the enemy. Verse 15 of that same chapter says they finished building the walls in 52 days. That is an amazing feat that required the focus that Nehemiah demonstrated. After rebuilding the wall there was great revival in Jerusalem and in Judah. Ezra the priest publicly read from God’s Word every day. The people who had been disconnected from the commands of God and even knowing their own history were instructed by the public reading of God’s Word in how they could come back to the Lord. But over time they began to drift away. Nehemiah had returned to doing his work for the king of Persia. On one of his occasional visits we see the events of chapter 13. Nehemiah, with righteous indignation for the preciousness of the things of God, instructed the people once again. When they were first taught God’s Word, it was done with gentleness are care. In fact, when they first heard God’s Word being read they broke down in tears and shame. Nehemiah had to encourage them to look to the Lord for forgiveness and move beyond the mistakes of the past (Nehemiah 8:9, 10). However, this time it was with physical discipline that Nehemiah reminded the people of what they agreed to before. In the previous verses we see various traits that Nehemiah demonstrated for us. He was sensitive to God’s will, but also obedient to the authority God put him under. God used the king of Persia to help fund the work that Nehemiah needed to do. If Nehemiah was not the obedient servant he needed to be, then the king probably would not have funded the work nor provided military protection. Nehemiah prepared as much as he could, but trusted God to provide the information he needed when it was time. He is also a good example of delegating the work to trusted leaders. He did not try to control the complete rebuilding himself. He was vigilant in protecting the people and did not allow himself to be distracted by the allurements of the enemy. Though there had been great revival in the city of Jerusalem, by the end of the book Nehemiah had to go back and remind the people of their promises to God. He did it forcefully. But he only took that approach after they knew the Law of God and willfully refused to obey it. There are many lessons to be learned from the life of Nehemiah. I trust this book will become a book that you learn to love as I am learning myself. More about leadership: What is Servant Leadership? Very helpful in my study of Nehemiah. Thanks!!! Very inspiring message ,I love it.